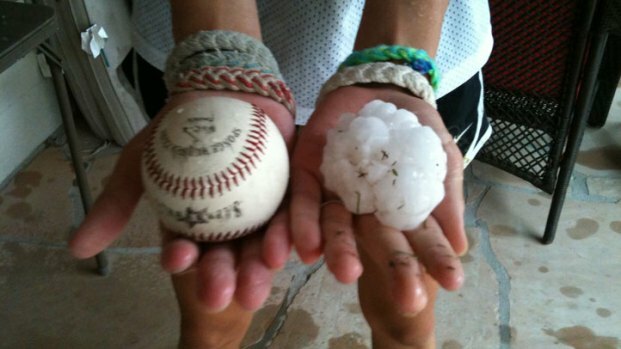 Large hail as large as baseballs damaged cars in one of the worst hailstorms in the Dallas area in several years. The storm caused chaos along North Central Expressway during the evening commute as drivers tried to take cover from baseball-sized hail. "As soon as I started to hear sounds louder than my radio, I tried to pull over as fast as possible," John Ingebritson said. The hail smashed a number of car windows and skylights in North Dallas, including a number of skylights at NorthPark Center in Dallas. The skylights were in an older section of the mall and were slated for eventual replacement. 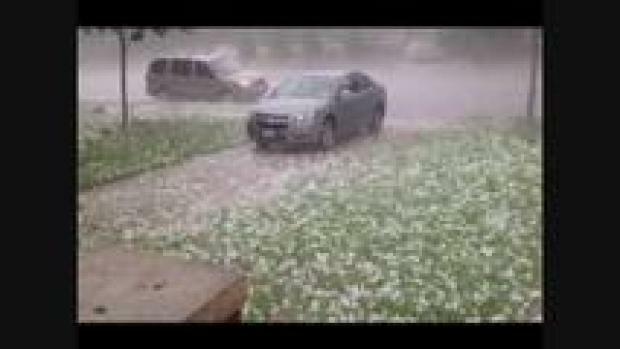 NBC 5 viewers sent in video of the hail storm on Wednesday, June 13, 2012. Mall managers said no one was injured. Plenty of hail that had not melted remained on the ground in Dallas an hour or two after the storm pushed through. The Dallas Arboretum said hail damaged only a small part of its Chihuly glass exhibit. Damage was limited to one small part of the exhibit -- the most fragile part of it. The arboretum was open Wednesday night, and visitors were enjoying other areas of the exhibit. 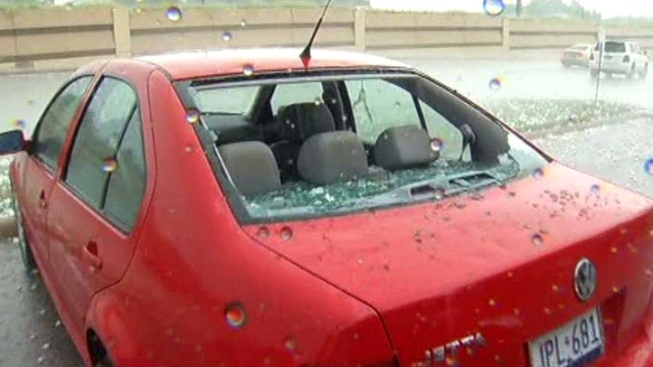 Hail smashed dozens of car windows and windshields at the Lakewood Shopping Center. Patrons inside restaurants and bars in the area said the hail started small but quickly turned into egg- and tennis-ball-sized ice chunks. When they walked out to survey the damage, more than two dozen cars were heavily damaged or dinged. Oncor Electric Delivery said it had small, scattered outages reported around the Metroplex. The largest and most severe outage was in the Lakewood area east of Dallas, where approximately 542 customers were without power. NBC 5's Scott Gordon, Ellen Goldberg and Omar Villafranca contributed to this report.